We are a full service home improvement contractor. Our customers refer to us as the “One-Stop Shop Contractor”. 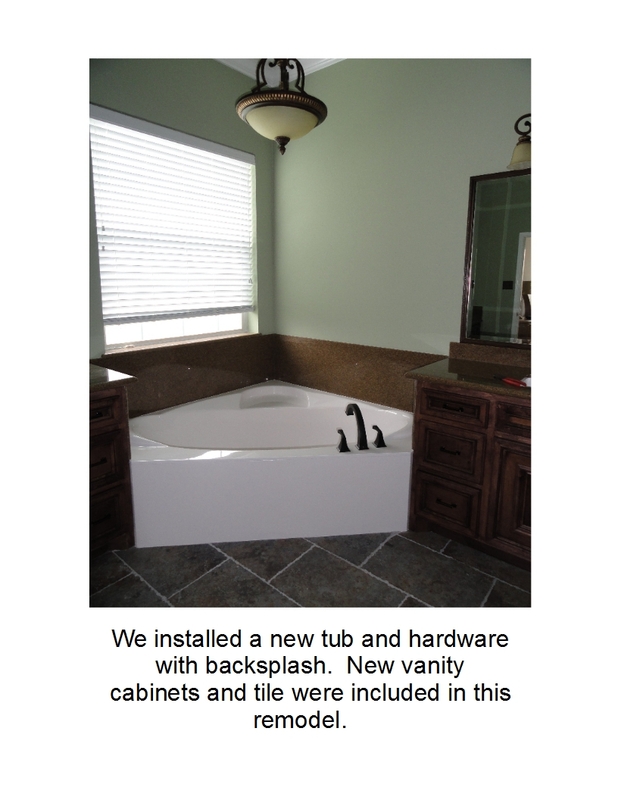 We have been in the home remodeling business since 1976 and we are an annual BBB Gold Star Award Winner. 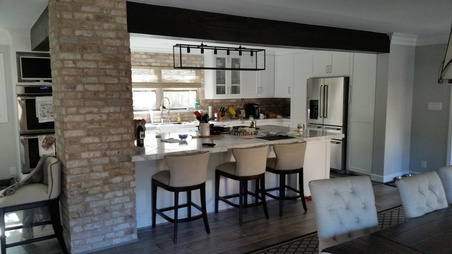 On the left is a new custom island kitchen. We custom built the cabinets and the kitchen island. On the island we installed a gas cooktop with an exhaust down draft that runs under the floor and exits to the outside. 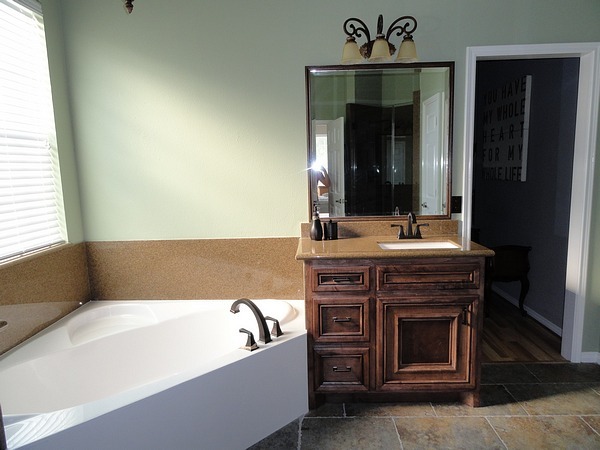 A custom granite countertop and a new sink were installed. 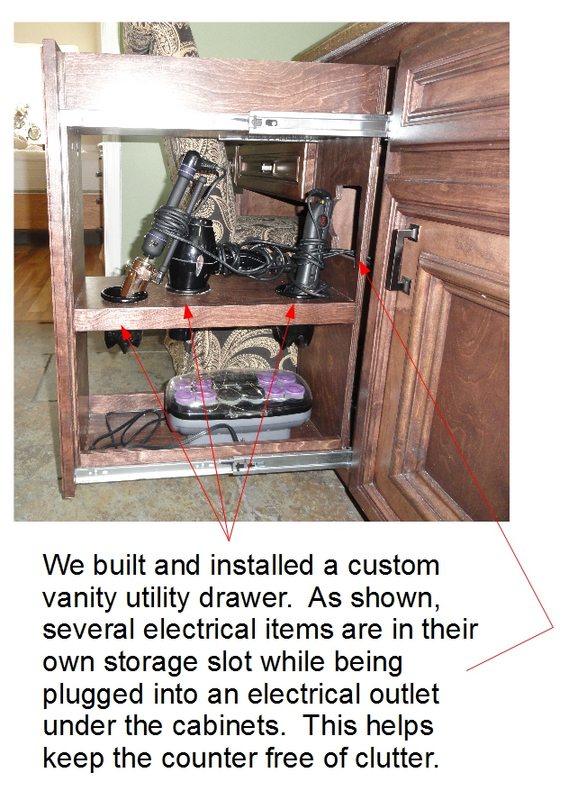 Also included were new hardware, fixtures, appliances and flooring. 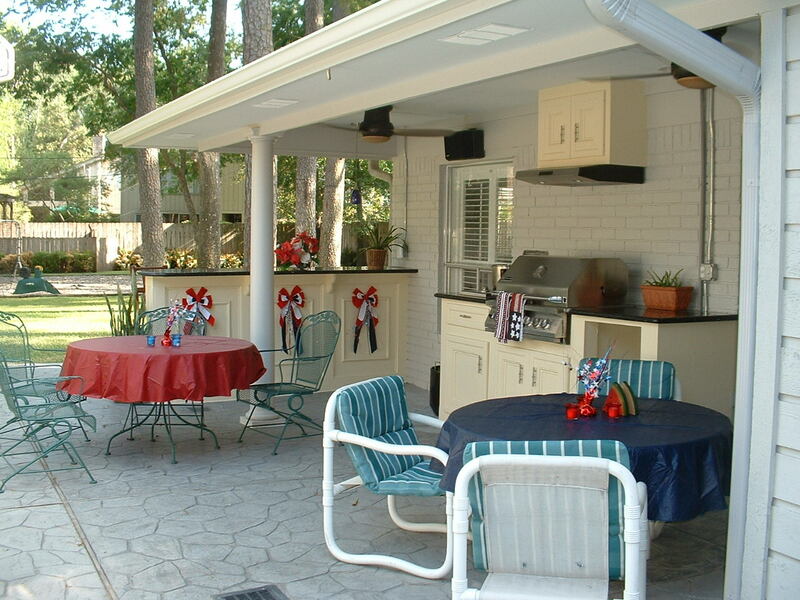 For this outdoor kitchen on the right, we extended the roof to increase the patio covering. 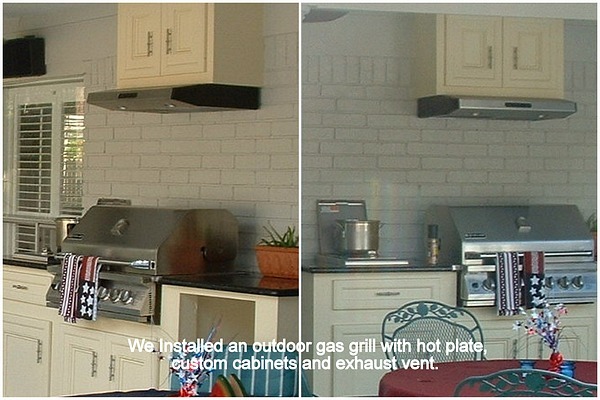 Custom cabinets with new countertops and a gas grill with hot plate were added along with a cooking exhaust vent. Lighted ceiling fans were installed to provide a comfortable breeze. We also hung and wired outdoor speakers. The custom lighted bar adds more seating for evening entertainment. 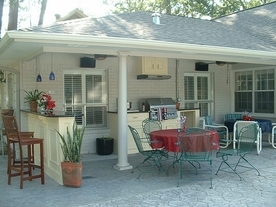 Home Remodeling - New Outdoor Kitchen with Gas Grill and Hot Plate, Countertops and New Cabinets. 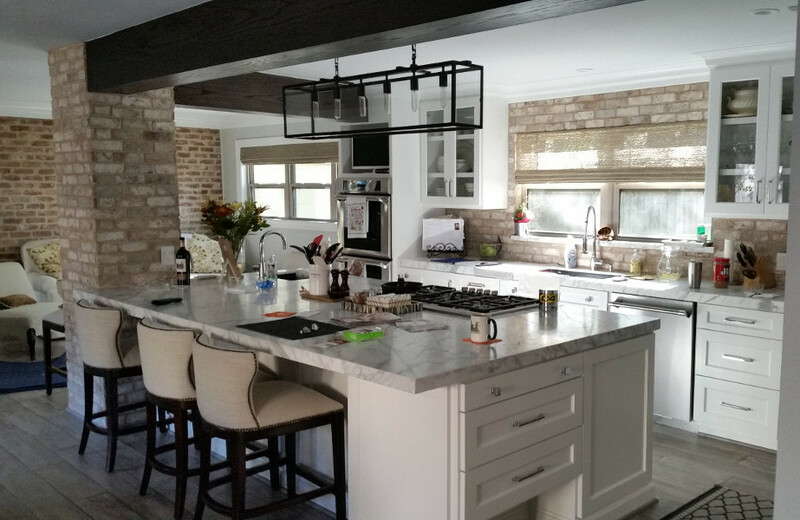 Many home remodeling projects start in the kitchen. New countertops, refinished cabinets and updated appliances are some of the kitchen ideas we can offer. Popular bathroom projects can include new tubs, tile flooring and remodeled vanities. Shower revisions and sink additions are also popular requests. Protect the inside of your house with some exterior home renovations. We offer durable and attractive Hardi-plank siding and complete roof replacement. High efficiency, double pane, insulated windows are almost a must in our southern coastal climate. Let us help you keep your desired climate in your house with energy efficient replacement windows and doors. 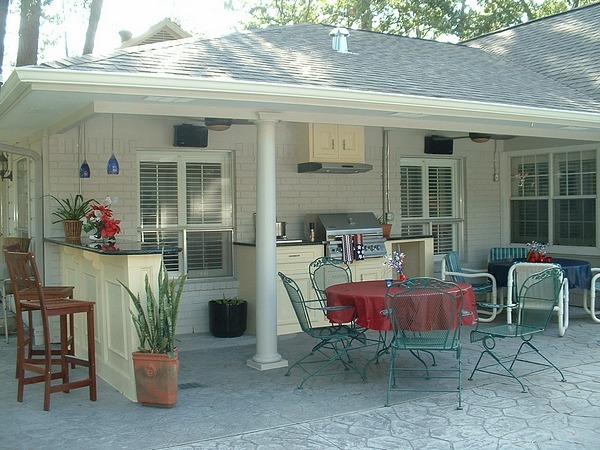 Covered patio additions can provide a perfect solution for outdoor enjoyment. 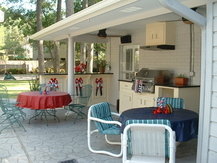 While an outdoor kitchen would really spice up the exterior design. We also offer various types of flooring that include hardwood, laminate and tile. Please remember that no matter your budget or dreams the estimate is always free. Patio cover extension with grill and ceiling fans. 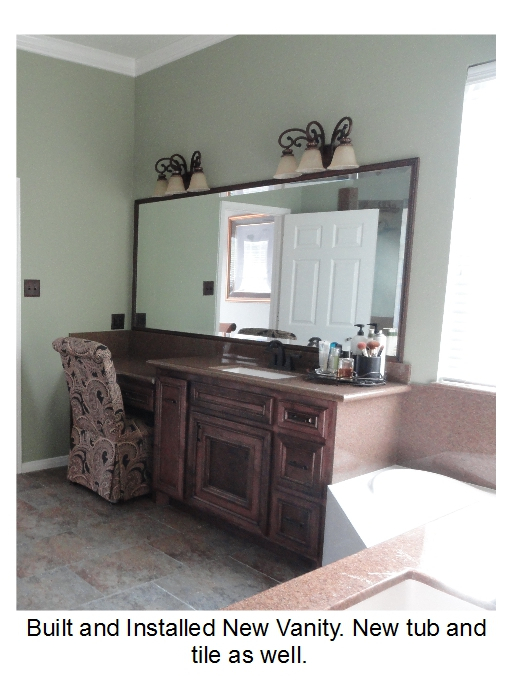 Installed a new bath with backsplash and remodeled the sink and cabinets with matching countertop. Established in 1976, GulfStar was started as a sole proprietorship company and still is. I have never employed sales reps. I have always maintained the idea that if I provided a top quality product with a performance to match that my career would eventually be rewarding. Repeat business and my reputation as a contractor have played a large part in my business. I currently perform home remodeling work on some of my customers’ second and third homes.